Intense physical conditioning necessary to brave the harsh reality of Cairn. The use of weapon forms in combat gives your attacks a natural cadence with peaks and ebbs that, while predictable, are none the less effective and difficult to counter. When used as your default weapon attack, Cadence will magnify the power of every 3rd single weapon strike. The fury of Cadence resonates with the target, causing heavy bleeding and striking additional nearby targets. With ranged weapons, Cadence has a chance to pierce through enemies. Such force is channeled into the attack that it compresses the very air, projecting out a wave of energy that stuns and damages foes. This attack requires a shield or two-handed melee weapon. Forcewave shatters through enemy defenses, inflicting grievous harm upon exposed weakpoints. Heavily regimented military training strengthens and fortifies the body against the hardships of war. Experience in some of the toughest theatres of the colonial wars has given you the ability to survive ordeals that would be fatal to others. An ability to remain calm and think clearly in the heat of battle enables veterans to more easily spot the gaps in an enemy's defense, or predict the flow of their attacks so that they can be easily countered. Through countless violent encounters, you have seen the worst that battle has to offer. The horrors of war no longer hinder your actions, and neither does a little spilled blood. As you draw close to death, the unyielding will of Menhir fills you with renewed strength. Requires a shield or two-handed melee weapon. Far from beating you into submission, the sting of enemy blows rouses your anger instead, adding extra force to your attacks. Charge forth into the fray with devastating momentum, taking your enemies by surprise. Requires a melee weapon. When used with a shield, the shield's damage is added. The suddenness and ferocity of your attack puts enemies off-balance, reducing their combat prowess. An arched swing that slices through multiple enemies around you. Requires a melee weapon. Expert technique causes Blade Arc to strike more enemies and to tear them open, causing bleeding. Call out to the earth deity, Menhir. Menhir is an ancient aspect that blesses his followers with the tenacity of the very earth. Requires a shield. This ability must be toggled to maintain its effect. Call out to the war deity, Oleron. Oleron is an ancient aspect that inspires unwavering ferocity in his followers. This ability must be toggled to maintain its effect. A superior sense of discipline and knowledge of battlefield tactics makes you a natural leader in the heat of battle. This ability must be toggled to maintain its effect. Inspires your allies to perform to the very best of their abilities. The renowned tactician Markovian always maneuvered to strike from the higher ground. This classic attack, inspired by Markovian's battlefield tactics, features a powerful downward strike to throw enemies off balance, weakening their defenses. Can activate with all default weapon attacks. Named for the famed fighting master, this attack uses a low center of mass and powerful swing to imbalance your opponents. Can activate with all default weapon attacks. When used with a melee weapon, the attack strikes multiple nearby targets. A blood-chilling war cry weakens the resolve of your foes and disrupts their focus. Assume a defensive stance that greatly boosts your combat awareness. You can only maintain this focus for a short duration. Requires a shield. Enter a state of intense readiness in order to unleash lightning-fast counter strikes against your attackers. This ability must be toggled to maintain its effect. The discord of a wrathful soul flows into the Soldier's pure fighting cadence and sows it with elemental energy. A more powerful form of Blade Arc in which the Soldier builds power between attacks to unleash it in one focused burst of intense damage that can knock foes to the ground. Less resolute foes will flee at the sound of your fearsome challenge. With the will of Menhir, smash the ground with a mighty two-hander and let rip devastating waves of energy upon your foes. This technique requires a two-handed melee weapon. Tremor is not a default weapon attack enhancer and cannot trigger effects such as Markovian's Advantage. Extensive study of shield combat techniques provides improved handling and expert maneuverability/ ensuring that your shield is never a hindrance. Requires a shield. Markovian became a legend on the battlefield for his tactical knowledge, but it was his mastery of the shield that allowed him to endure countless conflicts and emerge the victor. 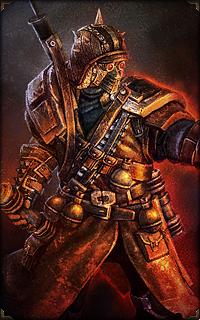 With enough focus and training, Markovian was capable of maintaining a defensive stance nearly indefinitely at the cost of his offensive, opting to wear out his opponents before striking the killing blow. Crossing over, as many Demolitionists eventually do, to dabble in the sorcerous arts of pyromancy unlocks the ability to imbue yourself and nearby allies with a living flame that augments attacks and retaliates at enemies. This ability must be toggled to maintain its effect. Delving deeper into the secrets of pyromancy grants such refined control over fire that it can be used to temper the weapons and armor of allies beyond conventional means and to imbue them with a living flame. A deadly alchemical technique causes martial attacks to combust the air around the enemy. When used as your default weapon attack, Fire Strike inflicts additional damage. Increases the potency of Fire Strike with an explosive charge that inflicts additional harm upon nearby foes. Further alchemical alterations cause Fire Strike to electrocute the target with a chance of knocking them off their feet. Pyromancy with a hint of the occult imbues Fire Strike with the chaotic power of brimstone. Ranged attacks will also splinter into molten fragments. Boosts the electrical capacity of each stun jack and increases the number of jacks that can be thrown at once. Drops a trio of small but deadly pyrotechnic charges that will sear enemies with intense jets of flame. The mines scale with player damage bonuses. Half pyrotechnics, half alchemy, this lethal improvement to the Thermite Mine causes it to scorch enemies with unearthly flame that sears the very being. A blinding light temporarily confuses enemies and disrupts their ability to defend themselves. The grenado is a recent invention that has quickly grown in use on the battlefield where it has evened the playing field between sorcerous manipulation and conventional weaponry. An improved design on the standard Grenado causes it to explode with intense heat and dangerously sharp shrapnel. The intense blastwave created by the Grenado explosion ripples through your foes, inflicting grievous internal harm. Places a mortar that will continuously lob explosives into the air until depleted. The trap scales with player damage bonuses. Potent sorcery increases the damage output of mortar shells and infuses them with electrical damage. Affects both the base Mortar and "The Big One". Loads the Mortar Trap with a devastating bomb known only as "The Big One", which will fire towards the beginning of the trap's barrage. The resulting colossal explosion will leave your enemies shellshocked, if they survive at all. Sorcerous enchantment imbues the flames with chaotic power that melts enemy flesh. An explosive packed with more explosives, this devilish contraption is capable of laying waste to an entire field of enemies. An adjustment to the Canister Bomb's casing improves its concussive power, inflicting immense trauma in a larger blast radius. 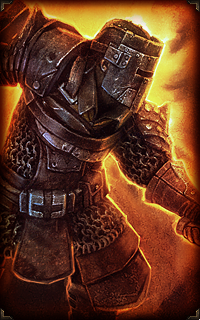 A combination of military gear and pyromancy creates a ward capable of deflecting a fixed amount of all incoming damage while reducing pierce and fire damage. Attacking enemies will suffer the fiery blowback from the shield. Ulzuin's eternal flame once brought life and healing to the world, but betrayal and torment twisted this gift into a weapon of vengeance. Those sworn to Ulzuin receive vigor in battle and fiery retaliation upon their foes. This ability must be toggled to maintain its effect. They lose the stopping power of Stun Jacks but can be thrown in rapid succession to spread devastating electrical damage among large packs of foes. Packed for a higher impact blast, the Concussive Bomb does a little less damage but will leave foes shell-shocked. Focusing the destructive power of Fire Strike allows it to hit with greater intensity while requiring less energy, but this technique can only be achieved with the proper handling of one-handed melee weapons. Requires a one-handed melee weapon. This more potent formulation burns longer and degrades your foes ability to fight. When channeled through a mighty two-handed melee or ranged weapon, Fire Strike inflicts devastating harm. Requires a two-handed melee or two-handed ranged weapon. When just exploding an enemy is not enough, this alchemical alteration to Grenado's chemistry unleashes a maelstrom of electricity upon detonation. An in-depth study on the manipulation and control of the occult. Shunned even by many Occultists for the prolonged suffering it inflicts, this abhorrent curse calls down a virulent plague to spread amongst foes, inexorably sapping their life-force and causing them to bleed from every orifice. Causes Pox to destroy your foe's vitality and turn weeping sores into gouts of blood. Such insidious spell-craft has earned Occultists their dark repute and seen many burnt at the stake. Burning with fever and suffering the liquefaction of their internal organs, the infected may be hit by sudden bouts of confusion and wander the battlefield attacking the air or even their own allies. Summon a mythical storm raven to support you. Storm ravens are eldritch creatures of uncanny intelligence and magical ability quite different from mundane ravens. Some believe they are not birds at all but rather some manner of ancient sky spirit for which the raven is a preferred manifestation. Only one raven may be summoned at any one time. The raven scales with Pet Bonuses. The raven channels eldritch energies to mend the flesh of wounded allies. The raven projects its eldritch spirit into selected allies, empowering them beyond their mortal means. The storm raven calls forth a powerful lightning bolt to electrocute nearby foes. Calls forth a hellhound from the eldritch realms to savage the Occultist's enemies. This vicious beast will battle alongside you until its life is extinguished in a blazing inferno. Only one hellhound can be summoned at any one time. The hellhound scales with Pet Bonuses. Brimstone claws tear an arc of flame through enemies within the hellhound's reach. An aura of hellfire surrounds the hellhound, augmenting it with power from its natural realm and searing enemies that strike its flesh. This power extends to nearby allies. Creates an occult sigil on the ground that consumes the life-force of enemies caught within its power, returning a portion of the damage dealt as health to the Occultist. Imbues the sigil with the destructive powers of chaos itself. Summons one of the infinite eyes of Dreeg, the great guardian of the hidden realm. The eye quickly speeds toward the target and then detonates itself. The mystical eye bursts on impact, showering nearby enemies with vitriolic gore. The frightful gaze of the eldritch and immortal Dreeg may cause enemies to stand frozen in fear or simply run in fruitless terror. Putrid chunks burst forth from the eye upon impact, inflicting further pain upon any foes unfortunate enough to be close to its detonation. A binding with the great guardian confers some of Dreeg's regenerative ability, while wounds inflicted by enemies will spray caustic blood as though inflicted upon Dreeg himself. This effect is also applied to nearby allies. Deepening the connection to Dreeg causes enemy attacks on the occultist to impact as though they were striking the quilled scales of the guardian. A cruel word of power that robs enemies of their fortitude, making them slow and fragile. Empowers the curse's vile potency so that it also weakens the constitution of your enemies, making them more susceptible to witchcraft and poisons. Harness the eldritch power of Solael, burning your enemies with entropic energy with every weapon attack. This ability must be toggled to maintain its effect. Deepens the Occultist's bond to the hidden realm, intensifying the power of witchfire such that the slightest touch burns through the life essence of foes. Strengthens the bonds of control with your minions causing them to fight with greater vigor and determination. This ability must be toggled to maintain its effect. Subtle manipulation of the bonds of control beguiles minions into feeling overwhelming devotion towards you, causing them to fight with fanatical strength and speed. You allow your body to act as a mortal vessel for the witch god Solael. The spirit of Solael radiates through your body, fortifying you against attacks as it magnifies your occult power. This ability must be toggled to maintain its effect. Channel the foul powers of Dreeg into each Eye, causing it to burst with greater intensity and harm, but also requiring a longer pause between casts. This transmutation of Pox can be as dangerous to the Occultist as to the foe. The plague will progress rapidly, more than doubling its damage, but as the afflicted burn with fever, they will become crazed, moving with unnatural speed and attacking with berserker fury that makes them both more deadly and more vulnerable. Practice in the arts of illusion and whirling blades. A legendary technique of the Nightblades. Hurl conjured blades infused with shadow magic that rend through flesh like paper. A metaphysical barrier forms around you, brought into being through the focused power of mind and spirit. This barrier repels physical damage and transfers energy from magical attacks into your own pneuma reserves. Though traditionally shunned, sometimes a knowledge of poisons and elemental powers can be the most effective means to gain the upper hand in combat. For a master Nightblade, Belgothian was rumored to lack fine control of his conjuring/ but he had the unremitting willpower to summon so many blades that they would form an impenetrable shield surrounding him, giving him a moment of respite from his foes. This skill immobilizes you for its duration. In the blink of an eye, hundreds of phantasmal blades encircle you at lethal speed, cutting down adjacent foes. Vicious phantasmal blades slice deep into foes caught within the ring, spilling copious amounts of blood. Secret martial techniques of the Nightblades enable you to draw vital breath or "pneuma" from your surroundings for short bursts of speed and power. The metabolic acceleration caused by these vital breaths also confers minor healing. Practice in combat meditation allows you to achieve a calm clarity in the heat of battle where you can calculate the path of enemy attacks and shift subtly to lessen the impact of weapon hits on your armor or to deflect projectiles. Adept Nightblades can pull energy from the air or even foes their weapons come in contact with to deliver attacks of intense cold. The phantasmal blades drain the life essence of the foes trapped within their grasp, transferring it to you. A psionic veil clouds the minds of nearby enemies, slowing their movements and diminishing their effectiveness in combat. This ability must be toggled to maintain its effect. Causes foes affected by the Veil of Shadow to feel the dark chill of the night fall over them, sapping their life and weakening their defenses. Master of assassins Amarasta, legendary among the Nightblades for her alacrity, developed a technique by which she would unleash a burst of deadly phantasmal blades which spread out from the point of attack to impale all adjacent foes. Conjure a swirling cloud of lethal blades that will roam the battlefield, slicing enemies to pieces before finally expiring in a shower of jagged shards. Blade Spirits scale with player damage bonuses. 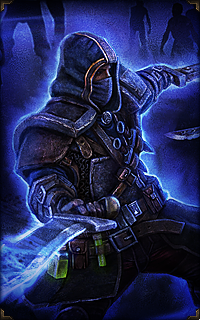 Among the most fundamental skills of the Nightblade are the mastery of melee dual wielding, favoring the use of piercing blades, and the art of drawing elemental cold from iron and steel. This is a melee dual-wielding bonus. Also enables the ability to dual wield melee weapons. The brawny Belgothian was an anomaly among the lithe Nightblade masters, but he exceeded them all in raw power. Leveraging his strength in direct but lethal attacks like the shears, Belgothian could often finish an enemy in a single move. This is a melee dual-wielding technique that activates off of default weapon attacks. Legendary for her speed, Amarasta's blades were said to sound like a whip through the air, leaving only streaks of light too fast for the eye to follow. Masters of this technique can strike thrice in the space of a normal attack. This is a melee dual-wielding technique that activates off of default weapon attacks. A devastating technique intended for multi-target combat. Those that survive are left bleeding as if from a thousand cuts. This is a melee dual-wielding technique that activates off of default weapon attacks. 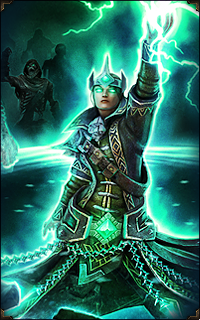 The controversial Nightblade master Nidalla demonstrated the cruel effectiveness of poisons during the Age of Unreason when she combined the foul toxins with other nightblade techniques, allowing her to prevail in battle against greatly superior numbers. This technique modifies Belgothian's Shears, Amarasta's Quick Cut and Whirling Death. A merciless blow, struck during a moment of opportunity, with the intent to quickly finish a foe. Those that survive are not likely to remain alive for very long. This is a melee dual-wielding technique that activates off of default weapon attacks. A cunning combination of illusion and mental deflection allows you to seemingly vanish and reappear above your victim like a nightmarish specter. Requires a melee weapon. As a practitioner of poisons, found unsavory by most Nightblades, Nidalla maintained that the ends justified the means. This toxic twist on the traditional Shadow Strike will ensure the end of any foe that survives the initial attack. Dispense continuous volleys of phantasmal blades with frenetic speed but less killing power per blade. Overly muscled and slow by Nightblade standards, part of Belgothian's success was attributed to his ability to recover health and outlast opponents through a profound mastery of the pneuma breathing technique. This is a melee dual-wielding technique. Also enables the ability to dual wield melee weapons. Conditioning of the body and mind to withstand the corrupting power of raw magic. A powerful arcane technique perfected by Master Albrecht in the years just preceeding the Grim Dawn that channels raw arcane energies into a concentrated beam of destruction. Requires a Caster Off-Hand. Pours all of your energy into the Aether Ray, turning it into a catastrophic force that disintegrates all it touches. Energy Cost increase is per damage interval. The greatest of the Cortosian Arcanists, Panetti devoted himself to advancing the classic arcane missile. His triumph is an alteration that seemingly defies the laws of conservation of energy, causing the missile to be replicated on impact, spawning multiple copies of itself. Replicating Missile distorts your enemy's very being, causing the projectile to sometimes completely pass through your target. A more advanced technique of Replicating Missile perfected by a student of Panetti draws upon the energy of the target itself to create fragments of pure arcane energies. Hailed as the ultimate force of destruction known to Arcanists, this technique tears a rift in reality through which fall embers of raw arcane energy. This dangerous spell is extremely draining and should not be used lightly. Requires a Caster Off-Hand. Embers continue to fall over the duration of the spell. Only one Devastation can be cast at any one time. Master Callidor famously served as a general in King Samuel's army. 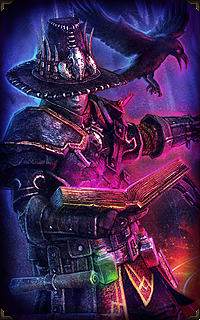 While deployed on the front lines, Callidor perfected a technique which, by creating a sudden concentrated burst of raw aether energy, would ignite the air around him in an arcane tempest. Concentrates massive amounts of negative energy within the target area, purging all enemies caught within it of beneficial auras and spells while allies are purged of negative ailments, including damage over time effects. Focusing the mind and body into a locus for arcane energies is one of the first meditative techniques taught to aspiring Arcanists. Adrenaline is a powerful force in dire situations that can turn the tide of combat. Battle Arcanists learn to use this to their advantage. In an instant, the air around you becomes hard as stone, absorbing all manner of attacks and reflecting them back at the attacker/ a favoured technique of Master Ereoctes. Iskandra taught her students that the most efficient path of victory was to turn an opponent's own energies against them. Just so, Elemental Exchange causes the weapons of allies to hungrily absorb arcane energy from foes and return it in the form of elemental damage. This ability must be toggled to maintain its effect. The damage conversion only applies to the caster. The mythical Trozan was said to be a natural/ wild and unwilling to conform to the doctrines of the Imperial Arcanists. When the Imperials finally surrounded his mountaintop refuge, Trozan humbled them using an unknown technique to bring down the very sky upon them. Drops 3 shards upon the target area. The ice trapped within the Sky Shard becomes released upon collision, bathing those near the point of impact with a freezing chill. The Sky Shard becomes increasingly unstable upon descent, building up a dangerous amount of charge as it propels through the sky. A rare defensive technique of arcane magic invented by the revered Arcanist Maiven. Creates a protective shield around the caster, but at a great cost in concentration. This ability must be toggled to maintain its effect. The sphere absorbs harmful debilitating effects and converts them into your energy reserves. Turn your body into a conduit of the aether, manifesting terrifying arcane energies through your mortal form that ignite the air and send ripples through reality. This ability must be toggled to maintain its effect. Many Arcanists sacrifice much in the pursuit of limitless power. There are some who do not heed the ancient warnings and tap into sources of power that others would consider unsafe, or even unnatural. It is these Arcanists that strike fear into the hearts of lesser mortals. This ability must be toggled to maintain its effect. A victim of political intrigue, Olexra was condemned to the Black Legion where her former life of arcane academia turned into a bitter struggle to survive on the frontlines of a brutal war. Olexra quickly put her studies to practical use, developing a technique to flash freeze enemies who made it within striking distance. This spell freezes enemies for its duration. Enemies resistant to freeze effects will suffer a reduced duration. Completely sap the nearby air of heat, leaving anything caught within the Flash Freeze slowed and debilitated even after the initial effects wear off. Corrupts the beam by instead fueling it with the raging powers of the chaotic void. Arcane energies manifest in many forms. Arcanists who delve into the art of summoning often transfer their mastery of the arcane to their loyal minions so that they can better serve the will of their masters. This effect is extended to your allies. Strike a finely-tuned balance within your incantation, harmonizing the opposing forces of fire and ice with wild electricity. Attunement to the primal call of the wilds. The heat of battle rouses savage animal impulses within you that heighten your aggression and empower you with nature's fury. When used as your default weapon attack, Savagery increases the intensity of your attacks with every strike. Building up charges increases the potency of the bonuses. The first rite undertaken by novice Shamans is to imbue their favored weapon with the raw force of a thunderstorm. Those that survive this critical step become scions to Mogdrogen's will and guardians of their people. Requires a two-handed melee or two-handed ranged weapon. Torrential force cascades from your weapon, shocking a nearby target and leaping to further foes. Primal Strike's raw power surges through the target, bursting blood vessels. Wendigo Totems represent a darker side to Shaman rituals, embracing the vicious duality of nature: one must die so that another may feed and live. Once placed, the totem will drain the life from nearby foes, all while creating a soothing aura that heals allies. The totems are taboo to most tribes though as the primal hunger spirit invoked to power the totem is perilous to control and has driven many shamans mad, filling them with an insatiable hunger that inevitably leads to cannibalism. Wendigo Totems scale with player damage bonuses. Seal a pact with the wendigo spirit inhabiting the totem. So long as you stand within its aura, your taste for blood will be insatiable. Shamans were often called upon to bring rain in times of heavy drought. This ritual has been manipulated by clever Stormcallers to conjure a swirling wind devil that lifts rocks and debris into the air, battering foes and ravaging them with the harsh power of the elements. Wind Devils scale with player damage bonuses. Unleash the ultimate wrath of the sky, instilling the Wind Devil with static energy that strikes down nearby foes with bolts of lightning. Call upon the beast god, Mogdrogen, to bestow nature's blessing upon you and your nearby allies. This ability must be toggled to maintain its effect. Take on the aspect of ancient trees, solemn ageless titans that have outlived civilizations, bestowing additional protection upon those under Mogdrogen's blessing. Out in the wild, one must do whatever it takes to survive. Some Shaman Conjurers take this lesson to heart by conjuring a voracious swarm which hungrily tears apart anything it comes in contact with, inflicting grievous wounds and exposing vulnerabilities. The vines grow virulently, entrapping helpless foes in a tangle of thorns. Briarthorns are tenacious beasts, born of brambly woods and wild magic. Skilled Shamans can call upon these creatures to aid them in battle. Only one briarthorn can be summoned at any one time. The briarthorn scales with Pet Bonuses. The Briarthorn slams its thorned claws into the ground, releasing a cascade of spines to impale nearby foes. The Briarthorn is an imposing presence on the battlefield which emboldens its allies to fight with greater ferocity. Legends speak of a great predator, the loyal pet of Mogdrogen, which relentlessly hunts down anyone that treads into the beast god's domain uninvited. As a favored follower of Mogdrogen, you call upon this Primal Spirit to aid you in battle. The primal spirit scales with Pet Bonuses. To many Shamans, a brutal two-handed weapon serves as the conduit for their storm powers. These practitioners favor a closer connection to the wilds through animalistic rage rather than through fragile wands and tomes which they consider to be the toys of those who would prefer to spend their time reading books over practicing their craft. Requires a two-handed melee or ranged weapon. Embrace your savage side as you seal your bond with Mogdrogen. Creatures from the beast god's domain readily answer your call. This ability must be toggled to maintain its effect. Embrace your primal side, shredding your enemies and feasting voraciously on the spilled blood. Requires a two-handed melee or ranged weapon. When used with a melee weapon, the attack strikes multiple nearby targets. Activates off of default weapon attacks. Strike with the strength of the earth. Whenever you land a critical strike with your basic weapon attacks, the ground shakes with the force of the blow, reverberating around the point of impact in a shockwave. Requires a two-handed melee or ranged weapon and activates off of default weapon attacks. Become one with Ultos, god of the sky, turning your mortal form into a conduit for the destructive power of lightning storms. This ability must be toggled to maintain its effect. Shamans dedicated to the spirit of the bear embrace the use of brutal two-handed weapons when entering their savage battle stance. Their unbridled fury is unmatched among the northern tribes. This technique requires a two-handed weapon, melee or ranged. Stormcallers, members of a sect of shamanism devoted to the heavens, are known to call out to Ultos, the god of the sky, when delivering nature's wrath upon their adversaries, allowing them to call down lightning with greater frequency. Thunderous Strike is not a default weapon attack enhancer and cannot trigger effects such as Feral Hunger. Channeling the power of storm is one of the most sacred rites of the Stormcallers. 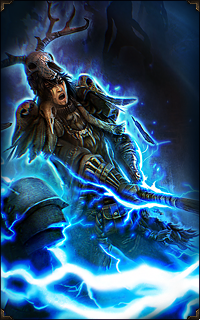 With sufficient practice, a Shaman can imbue a totem with the destructive force of lightning, causing it to rapidly fire off electric bursts at nearby foes. Storm Totems scale with player damage bonuses. Twisted shamans obsessed with the power of Wendigos can corrupt a Storm Totem to unleash hungering bolts that sap vitality from foes.